I recently asked you a question about mild nocturia, reasoning that it might well be a function of a healthy urinary system in my age bracket. Your answer on your website was to casually reject my line of reasoning as invalid. I have since read a very ordinary article in a very mainstream newspaper which validates my speculation-based-on-logic-rather-than-evidence which I presented to your website. You can find this article on the internet: GOING TO THE LOO JUST IN CASE? Published in the DAILY MAIL. This is exactly what I deduced in my previous message to you using arithmetic and logic. Dr. Viney goes on to explain in the article that heart conditions and high blood pressure can also cause fluid to pool in the legs in the day. At night, when lying down, the fluid returns to circulation, creating more urine. I myself have this problem in cold weather. I get noticeable fluid retention in my legs and feet. Dr. Viney does not explain in the article why older kidneys produce more urine in the night than younger kidneys, but the explanation is not as important as the fact that this is what happens. This fact is important because it is misleading for you to advise older men that BPH is causing mild nocturia (interrupting sleep once or twice a night to urinate), when such behavior is a reassuring sign that older kidneys are actually working normally. The article makes it clear that mild nocturia (up to two times a night) is normal for older people, including the half of the population which doesn’t have prostates or BPH. You are also possibly misleading your readers who are looking to you for man-to-man advice when you explain urinary retention as a dysfunction caused by BPH, when at least some urologists are aware that urinary retention could be just a reaction of food irritation of the bladder. This is certainly how I experienced my urinary retention event. In the years leading up to my urinary retention event, eating robust (possibly gluttonous) quantities of watermelon predictably caused in me a spectacular outbreak of urinary frequency culminating in a couple of unpleasant hours in which my urinary system would keep trying to urgently void urine which had already been voided, showing that my urinary system was traumatised so much by the food irritation that the urge to void continued for hours after the bladder was empty (perhaps similar to phantom limb sensations). I was taken by surprise when I was hit by urinary retention, because I had never heard of it before, despite 15 years of reading extensively about prostate health. At the time it happened, I felt (for whatever it’s worth) that it was my bladder which had shut down, not my prostate swelling up. The role of the bladder in urinary performance problems may or may not be confirmed by the video accompanying the article in which Mark Speakman, president of the British Association of Urological Surgeons, discusses the phenomenon of what you have described as “allergy-like” attacks on the prostate by certain foods, and which he describes as irritation of the bladder caused by such foods. Is it possible that the irritating, allergy-like-producing foods are acting on the bladder rather than the prostate in at least some urinary retention events, causing the bladder neck to shut tight rather than the prostate swelling to squeeze the urethra shut? This would appear to follow from what this urologist says. According to this article, the range of human capacity to cope with holding urine is enormously varied – from just 200ml to 1 litre. The article says that most people can hold 300ml to 400ml at a time if they consume 2 litres of fluid a day, and 500ml at night without waking. You have no knowledge of my individual bladder capacity, yet you rejected my reasoning anyway as going nowhere valid. As the DAILY MAIL article explains, the true criterion for individual difference in urinary frequency is not bladder size, but rather the point at which the brain signals the need to urinate, which varies among individuals. This signalling generally cuts in when the bladder is only half-full, and therefore bladder capacity is irrelevant. The brain signalling point can even be conditioned and re-set in individuals. Although previously I did not know about this brain trigger mechanism, I had observed that my sense of urinary signalling, including urgency, was mostly psychological, not physical (all in the mind), and that it was immensely variable from day to day, depending on my state of mind. Even if I have an average bladder size and an average brain signalling point, if there is more urine in my bladder than is comfortably accommodated by my bladder or brain, then I am going to have to get up at night to urinate. And this will be my urinary system functioning well, not letting me down, or showing dysfunction. The article explains that nervousness can trigger the fight/flight mechanism, which effectively shuts the bladder off. This is the body’s way of diverting energy to the heart and blood pressure to support a fight or flight reaction. Your memorable description of one urinary retention triggering event in your own life was clearly a fight/flight event. So the bladder, as distinct from the prostate and BPH, appears to be a cause of urinary retention in itself, as well as a cause of urinary urgency in anticipation of a stressful upcoming event. The article also suggests that cold weather may also increase the need to urinate for understandable physiological reasons. Interestingly, the invention I previously drew to your attention (which you ignored) which shrinks prostate volume, does so by minimising temperature fluctuations in the prostate. 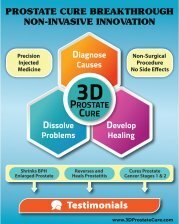 Prostate temperature fluctuations is not on the 3D list of common causes of BPH. Thanks very much for your very informative article. We have to be careful in what we describe as normal for elder age. Unfortunately most Westerners are on multiple prescription drugs. These also have side effects, but the key is to compare what seems to be "normal" in the West with elders in long-lived traditional cultures like the Okinawans of Japan who stay very vital and healthy compared to the norm in the West. But yes as we age the bladder seems to need to release urine more often at night. In Traditional Chinese Medicine this would be seen as a weakening of the kidney, bladder meridian, a very key indicator of our health as we age. I don't know whether it is the bladder or the prostate that is "unhappy" when there is a reaction to foods or supplements, but the result sure is unpleasant! And in the case of complete urinary retention it is most likely the prostatic urethra blocking at the bladder neck. In any case it is a sure sign that we are not as healthy as could be. A very healthy individual should be able to tolerate most foods unless a true allergy exists, but that is a whole other subject. What are the causes of such a high incidence of allergies and sensitivities in people today? Perhaps our toxic foods, our toxic vaccines from such an early age play a big part as well as the wide incidence of mercury from dental fillings. But this is just my opinion and I have no desire to join the debating club. For me it is clear that the purest and highest quality natural inputs are my key to good health. Those men who are interested can learn more since learning is a life-long endeavor and no one person has all the answers! Stay healthy and sleep well. Yes cold will definitely trigger extra urination frequency to help keep you warm by getting rid of extra fluids so they don't need to be kept heated up. You can take the IPSS Prostate Test to see how you score... this can give you a further indication whether you have BPH symptoms like urgency, burning, leaking etc. Also please not that many cases of BPH also contain prostatitis infections such that the line between BPH and Prostatitis is not as defined as Western medicine seems to define. Next time you visit your urologist ask her to take a prostate fluid sample and look at it under a microscope. You may be surprised at what you will see. That is a very good way to help diagnose prostate diseases. 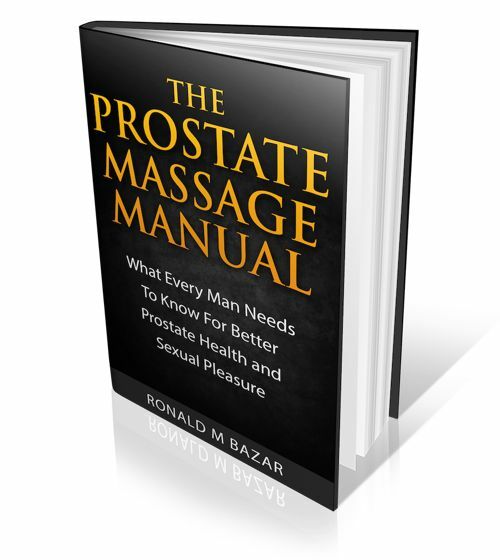 Also note that some prostate symptoms can be the same for prostate cancer. It all depends on the individual. And yes let me congratulate you on your insights as to how different we all are in our functions of urination and its frequency. One last thought, if you ever have to use a catheter because of blockage it is often the prostate itself that is swollen if it is not easy to pass into the prostatic urethra (the entrance from the outside in). If a bladder infection or problem the blockage could be at the bladder neck.